Description: Help us recruit insurance, finance and mortgage brokers into our unique lead generation auction system and you will be rewarded handsomely! Some brokers spend well in excess of $100,000 per annum on these leads and, because we pay you recurring commissions for your referrals, your ongoing passive income could build very quickly. 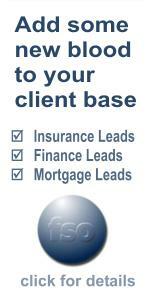 Help us recruit insurance, finance and mortgage brokers into our unique lead generation auction system and you will be rewarded handsomely! Are you an Australian Financial Services Professional looking for insurance, finance or mortgage leads in your postcode, district or state? Click here to find out how we can help.